Anyone who knows me will know that I have a love for all things avant-garde. I hate to just blend in and I admire real trendsetters. 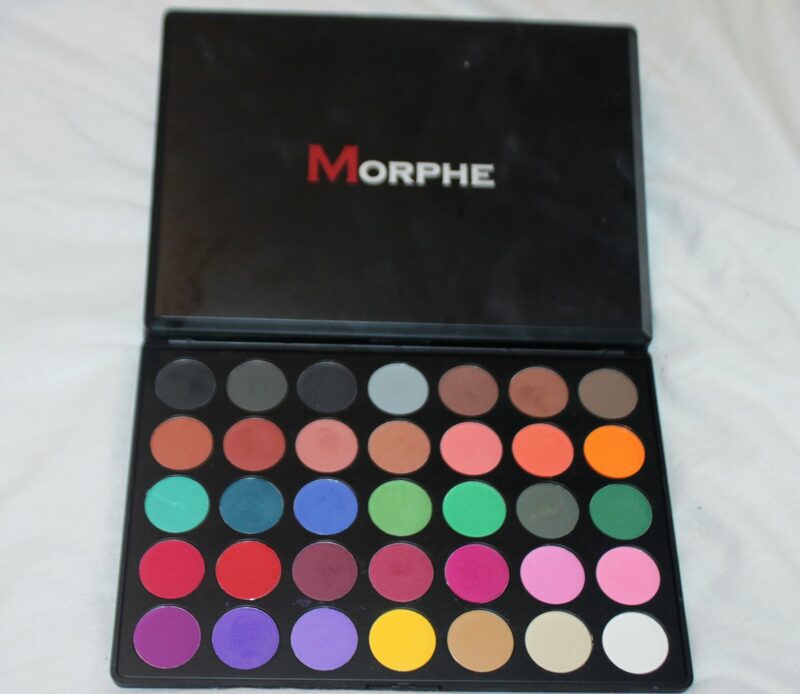 So my Morphe 35C pallet has been sitting in my drawer for months now being neglected as we all run from bright colours in the winter months. But I thought it was time to really put it to the test. 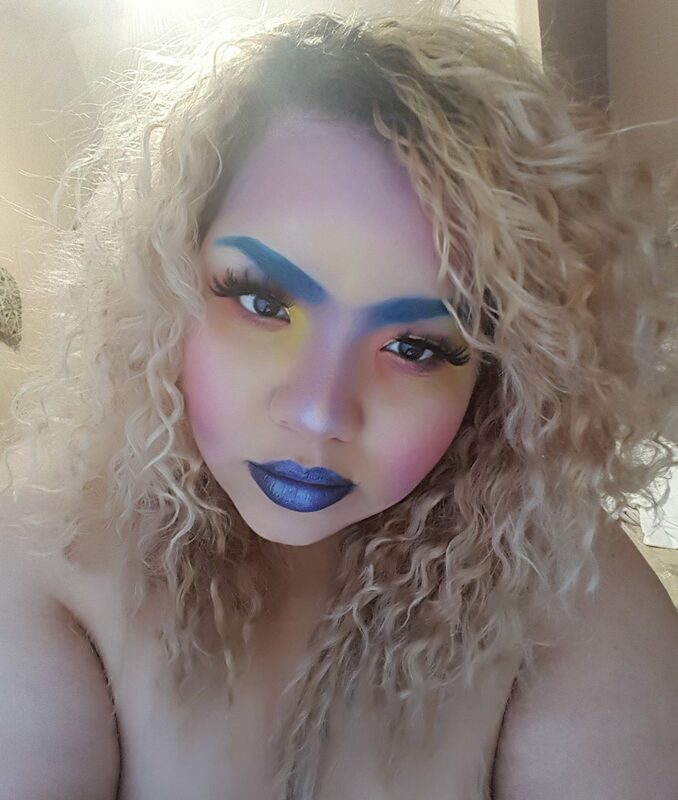 I decided to create this avant-glam look using solely the Morphe 35C pallet, yes brows and lips too it’s all from this pallet. 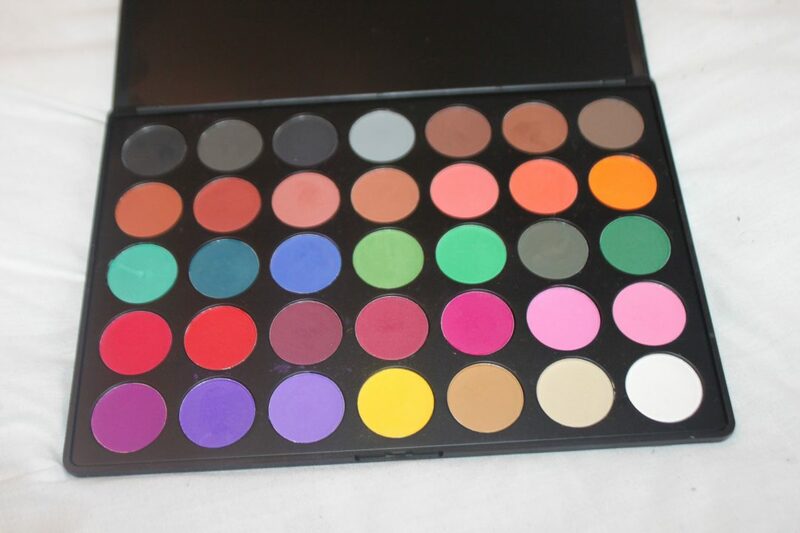 For anyone who doesn’t know the 35C are 35 matte bright and bold colourful shades. I had so much fun doing this, I would not wear my makeup like this on a day to day basis but I do think the look would work really well for a photoshoot. 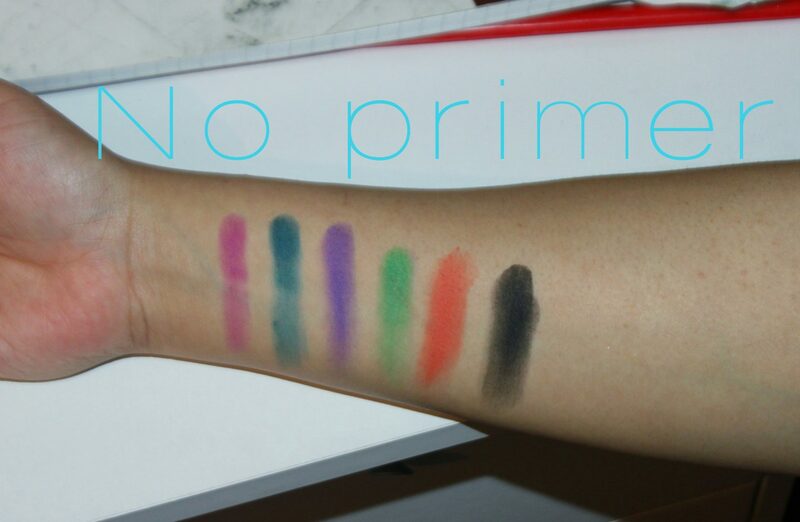 I was pleasantly surprised at how pigmented these colours are. Even without a primer the colour payoff is pretty good. I did prime my whole face before doing this look and for my brows I concealed them first then applied I white base to them. This was just to make them standout a bit and it worked well. 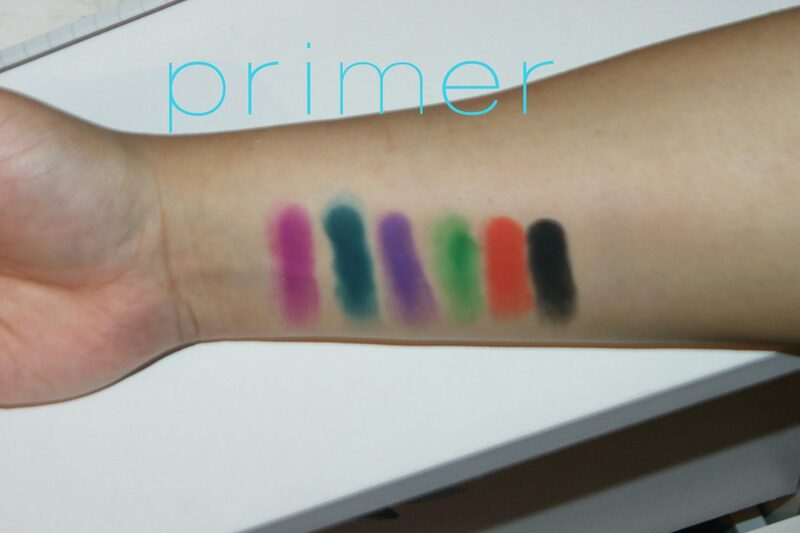 These colours blend really well and make it so easy to add depth to any look and they layer really well. For the contour I used three purple shades and created a slight gradient. This was only achievable because of how easily these shadows blend. Some of the lighter shades are slightly chalky, which was a let down. But considering the whole pallet is matte a few chalky shades is bearable. The yellow has to be built up a lot. 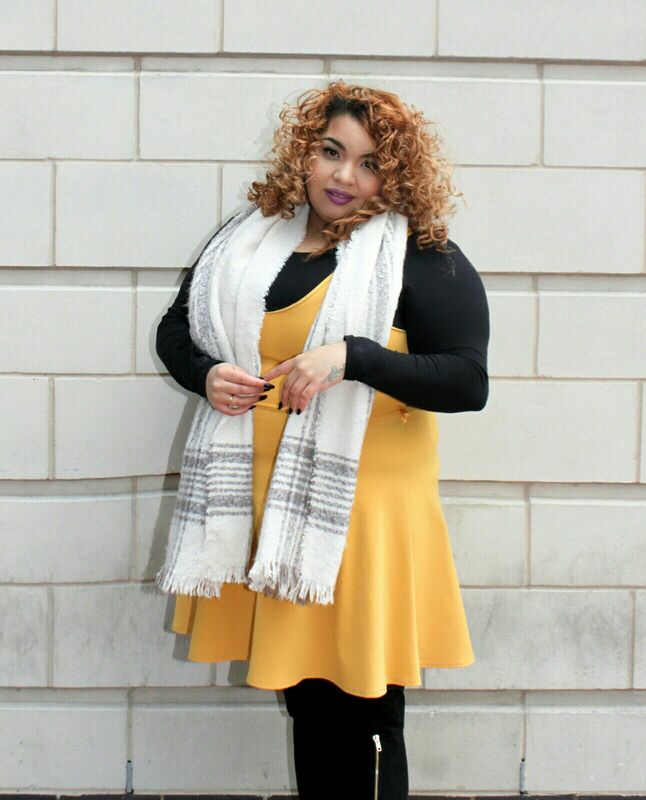 I always have trouble with yellow shades as I have a yellow undertone but I have found a few that show up really well. Next time I might use a dark eyeshadow base to see if it works better. The Pinks! This pallet has some really deep pink and brick tones that are just beautiful. They are also really creamy shades and a pleasure to work with. Generally I love this pallet and I’m really glad I got to play with it, I had only used the pink shade before this look. But I’m sure as spring approaches I will put this to good use. For the lips I used turquoise eyeliner I had lying around to fill my lips in. Then I want wet my brush with fix plus before building up the blue shades and topped it with a baby pink gloss. Resulting in this wet metallic look. This was a lot of fun, when I have too much time on my hands I love to play with avant-garde make up looks. It’s like playing dress up for me. 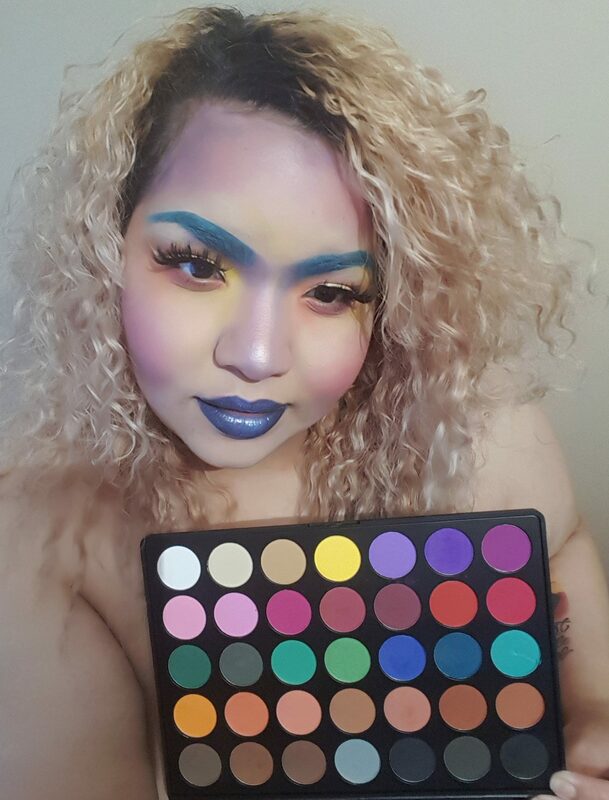 Have you tried this pallet? What are your favourite colours to play with?